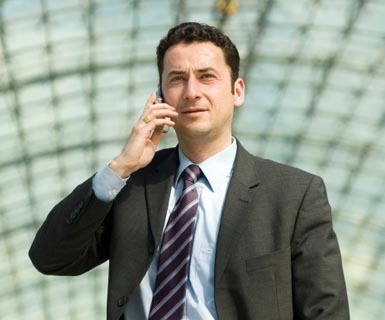 Reduce Your Overseas Business Mobile Phone Call Charges by 76% Overnight! Ed travels to France on business 30 days a year visiting clients and suppliers. Ed sends 15 text messages to the UK each day. If you are a business traveller or represent an organisation that does a lot of business travel, GeoSIM will significantly reduce your mobile phone bills. Global business is now "the norm" and despite online meetings and web conferences, business still needs to be done face to face. Keeping in touch with your sales team, project managers and the office is paramount, but can be costly when using mobile phones. The GeoSIM global SIM card will reduce your costs.